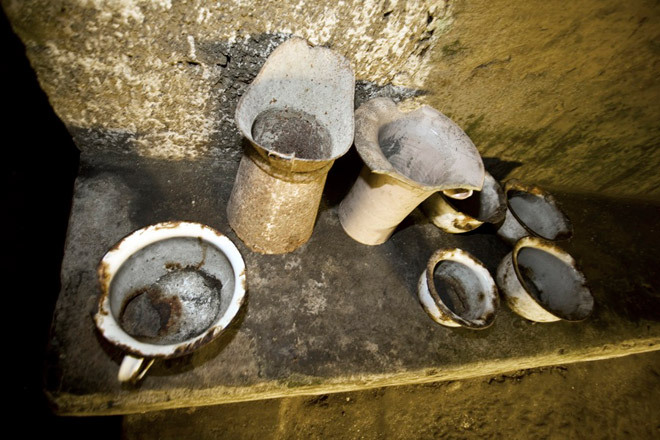 Everyone knows Naples as a city of exceptional beauty, a city of art, but few know the underground reality of the city. Even many Neapolitans are unaware of the beauty that lies beneath. The Associazione Napoli Sotterraneapreserves the underground area and brings this beauty to you. 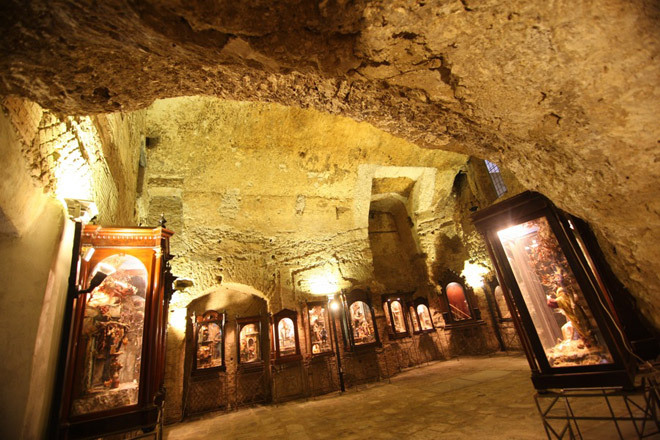 The underground caverns of Naples were born with the city and grew along with it over the years. The first excavations of the underground caves were done around 5,000 years ago, near the end of the prehistoric era. The Greeks withdrew large quantities of the tufa stone that lies beneath to construct the city walls and the temples. They also excavated numerous areas to create a series of underground tombs. Enzo Albertini, the President of our association, after many years of underground research, discovered, about 40 meters underneath the cemetery of Santa Maria del Pianto, the cave from which stone was taken to construct the city walls of Ancient Naples. We know that the walls were built from the stone of this cave because we see the same designs in the caves that are on every block of the city walls. The remains of the city walls, built in the 4th century B.C., can be found in Piazza Bellini and on Via Foria. The Romans continued to build in the Augustean Era a large aqueduct and underground tunnels that were used as streets to avoid climbing Mt. PiediGrotta . The names of the streets were Cocceio and Seiano. In the early 1600’s, the Greco-Roman aqueduct, with its numerous pluvial tanks, no longer brought enough water for the city’s growing population. Until, in 1629, a very smart Neapolitan noble, Carmignano, built a new aqueduct. In the early 1900’s, this aqueduct was no longer used, because a newer and safer system of transporting water was created. These tanks and tunnels, spanning more than a million square meters in length, were then abandoned. In the beginning of WWII, military bombings brought once more an importance to the underground area, whose tanks were then used as bomb shelters. Many of these cavities were closed because over the years, the underground area was used as a dumping ground for building debris lying on the surface. Naturally, this prevented us from displaying this cultural and historical treasure until now.